When is a loss a good thing for a boxer?When it’s early in your career and it’s to the best fighter of your generation and you learn from the mistakes you made. Miguel Cotto, left, and Canelo Alvarez pose during the final press conference at Mandalay Bay casino-hotel in Las Vegas Wednesday, Nob. 18, 2015. 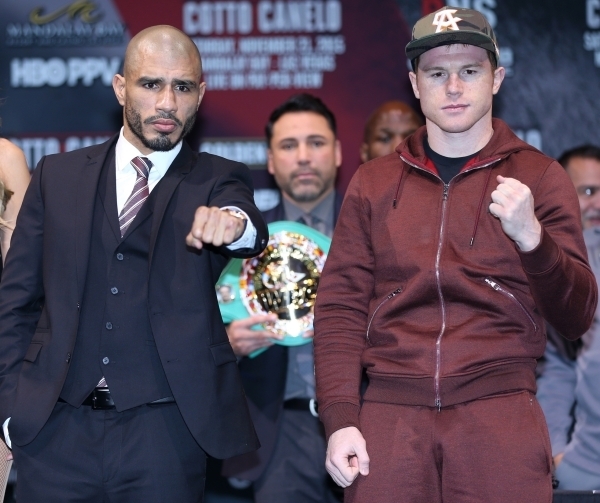 Canelo and Cotto will fight Saturday for the World Boxing Council super featherweight title. 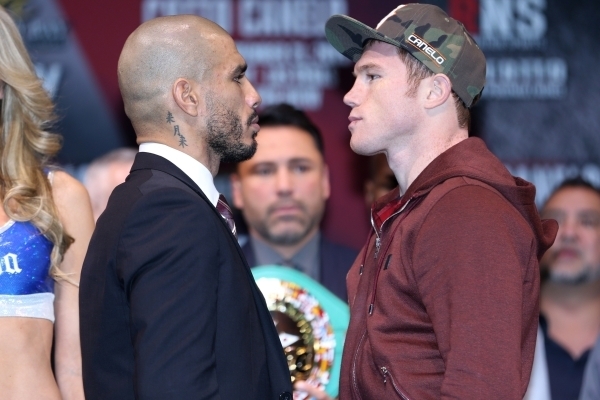 Miguel Cotto, left, and Canelo Alvarez face off during the final press conference at Mandalay Bay casino-hotel in Las Vegas Wednesday, Nob. 18, 2015. 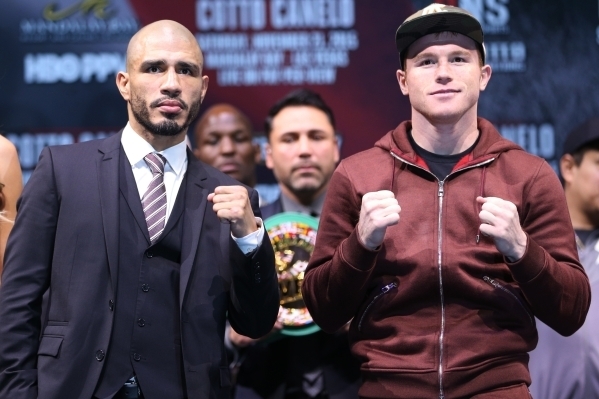 Canelo and Cotto will fight Saturday for the World Boxing Council super featherweight title. When is a loss a good thing for a boxer? When it’s early in your career and it’s to the best fighter of your generation and you learn from the mistakes you made. 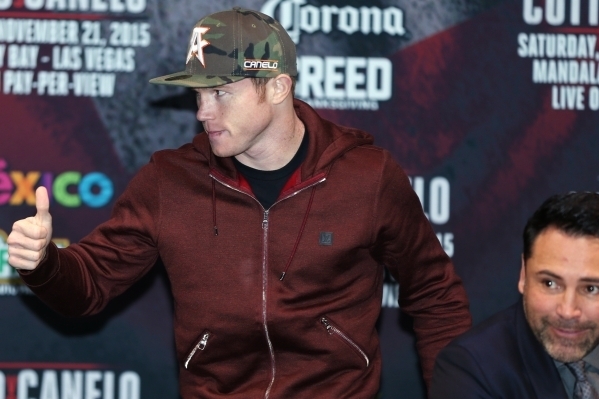 Canelo Alvarez never regrets having fought Floyd Mayweather Jr. in September 2013 at the MGM Grand Garden. Mayweather handled Alvarez easily in giving the Mexican superstar the lone defeat of his career in taking a 12-round majority decision in their junior middleweight world title fight (judge C.J. Ross scored the fight a draw). Saturday, Alvarez, now two years older at age 25 but decades wiser from having been in the ring with the master technician Mayweather, looks to win a world title at middleweight when he faces Miguel Cotto at Mandalay Bay on HBO Pay Per view. “I learned a lot from that fight,” Alvarez said through an interpreter. “I made many mistakes which we have since corrected. I gave (Mayweather) too much respect. I should have been more aggressive when I fought him. I won’t make that same mistake (against Cotto). Alvarez (45-1-1, 32 knockouts) said Cotto (40-4, 33 KOs) is a much different opponent than Mayweather and he has trained for the veteran middleweight from Puerto Rico accordingly. So what did Alvarez learn from the Mayweather loss that has made him better? 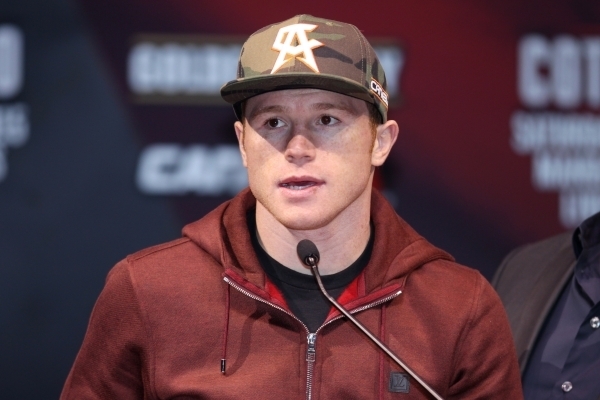 He never says specifically, but watching him in the three fights since the loss against Alfredo Angulo, Erislandy Lara and James Kirkland, particularly his May 9 third-round knockout of Kirkland, Alvarez was putting his combinations together sharper and he was more attack-minded. He put pressure on his opponents from early on in those fights and was in control. 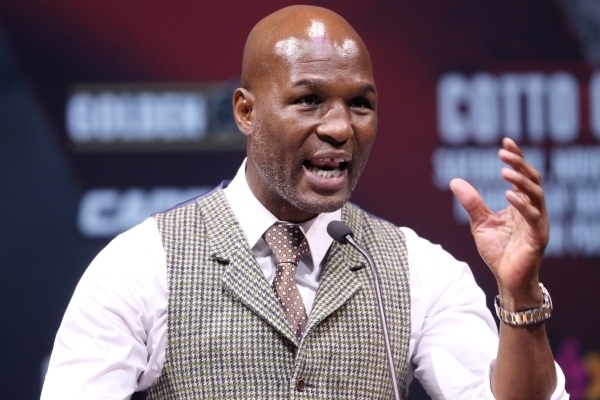 However, when he faced Lara in July 2014, he didn’t finish as strong as he should and he wound up winning a split decision in a fight he had dominated over the first half. 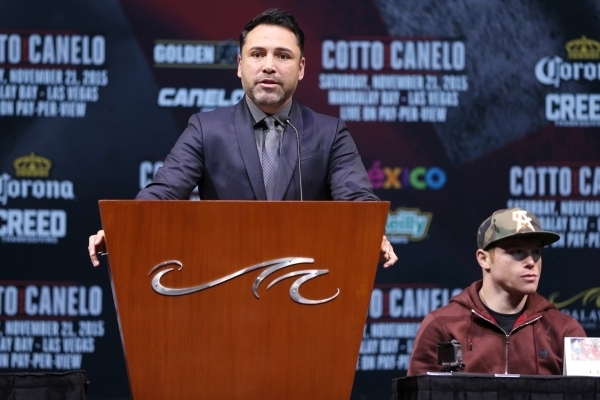 Oscar De La Hoya, the chairman and CEO of Golden Boy Promotions, whose company has promoted Alvarez throughout his career and helped to broker the Mayweather fight, said it wasn’t a mistake putting Alvarez in the ring with Mayweather. 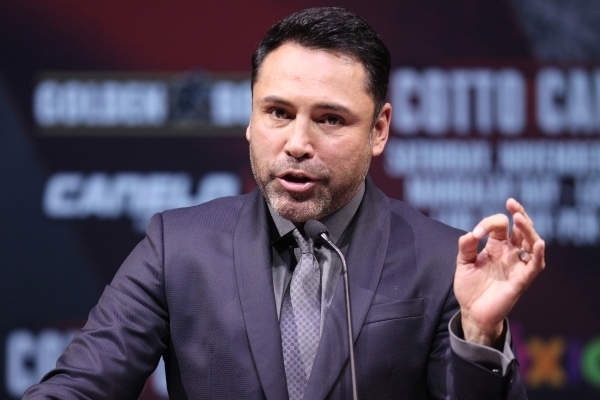 “Not at all,” De La Hoya said. “He was at a point of his career where he could still move forward even if he had lost. And as we’ve seen, Canelo has moved forward and is a better fighter for having faced Mayweather. As Alvarez gets older, he seems to be more guarded in anything he says publicly. He rarely trash-talks his opponent and never reveals much of the game plan he and trainers Chepo and Eddy Reynoso have for his fights. In other words, he prefers boring to bombastic. Perhaps that’s a reflection of who Alvarez genuinely is. When he trains, he’s not going out and partying. He’s at his camp watching movies to while away the hours in his battle against boredom. He and his team have been together from the start and it’s a small, tight circle. You’re not going to infiltrate Alvarez’s team. On a recent conference call to hype Saturday’s fight, a reporter tried to ask Alvarez about his lifestyle, what he likes to eat, if he had a steady girlfriend and what he did for fun. Alvarez didn’t take the bait. He said satisfying his fans was the most important thing for him, though he did admit he had a penchant for sushi. 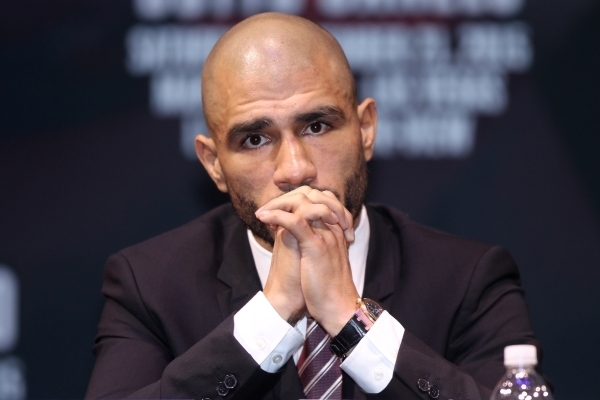 For Alvarez, his focus is clearly on Saturday and Cotto. He expects a tough fight and he knows the importance of what it means to his career. NOTES — The weigh-in will be held in the Islander Ballroom at Mandalay Bay’s North Convention Center area beginning at 2:30 p.m. Friday. Doors open at 1 p.m. and admission is free. … Alvarez is currently a minus-310 betting favorite at the MGM Resorts sports books with the take-back on Cotto at plus 230. …. 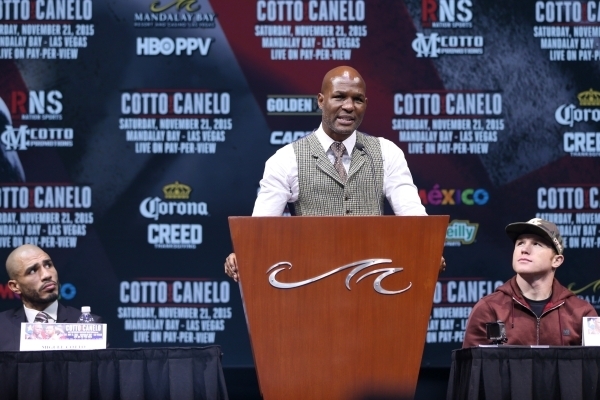 There will be a closed circuit viewing of Saturday’s fight at Mandalay Bay, the MGM Grand and the Mirage. Tickets are $75 and can be purchased at the box office of the respective hotels. 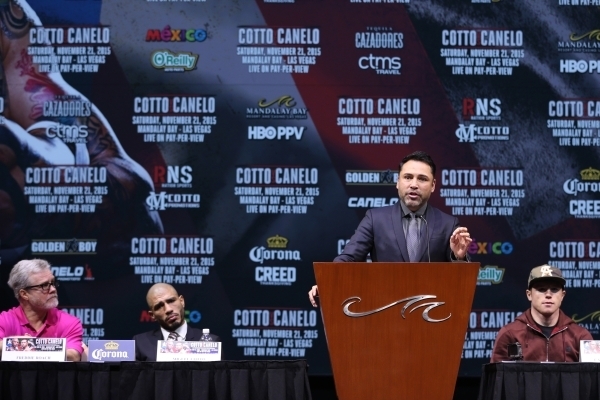 In addition, Station Casinos will be showing the fight at two of its properties — Railhead at Boulder Station and Club Madrid at Sunset Station. Admission is $10 and can be purchased at the door. You must be 21 or older to be admitted.